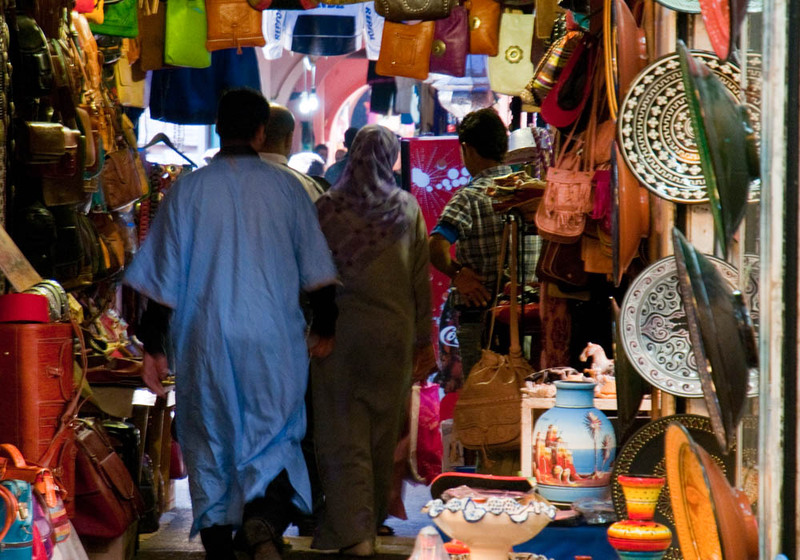 Go shopping in Morocco and you’ll have a retail experience that will live long in the memory. In every city and every town there’s something new to see and something unique to buy. The best place to start is the medina. 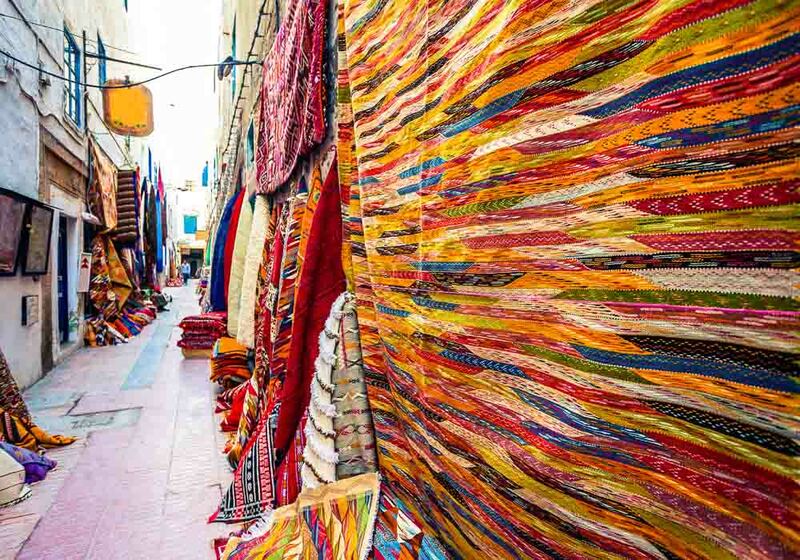 Whether it’s a small area in the town, or a huge one like the Medina of Fez, this is where you’ll find the souks – labyrinthine Moroccan markets that have stood for centuries and sell all manner of exotic goods. 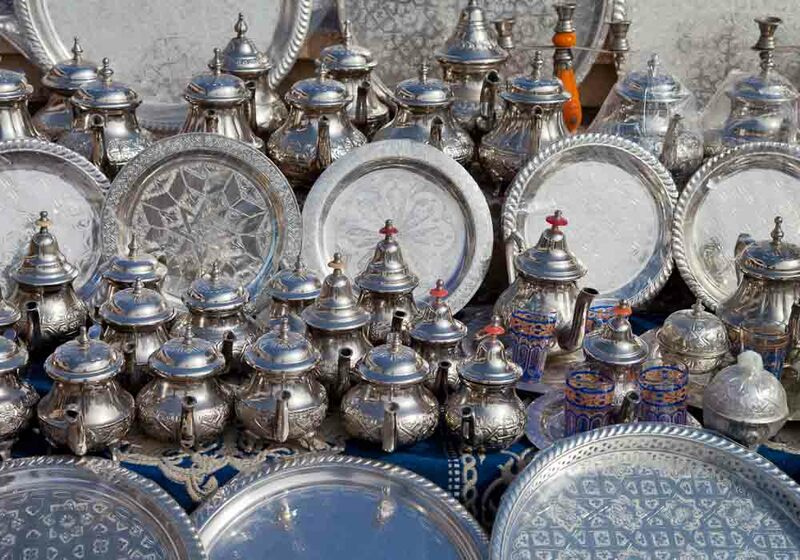 They’re fantastically exciting places to be, an assault on the senses where stallholders entice you to buy their wares – brightly coloured pyramids of spices, shining copper bowls, richly woven Moroccan carpets, steaming kefta tagines, and a hundred other goods fight to catch your eye. And don’t forget to haggle; not only will you offend people and spend more if you don’t barter, you’ll miss out on the best bit! Famed for its glorious six miles of sprawling golden sands and blue waters, Agadir is a popular holiday destination and bustling port. However if you take a short trip in from the coast into the city itself, there are shops for all styles and budgets. If you want a slice of real Moroccan retail then head to the Souk; a seemingly endless indoor traditional market. 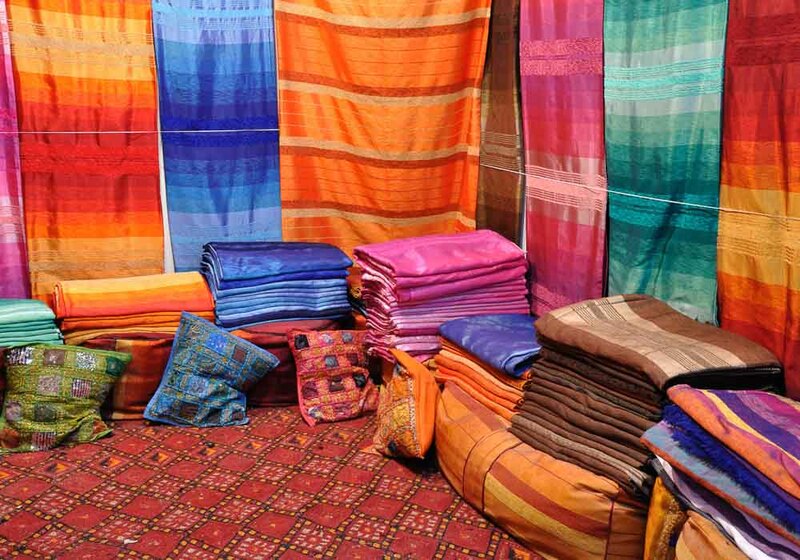 The winding corridors are lined with stalls selling everything from vegetables and vibrantly coloured spices to stunning hand dyed fabrics. 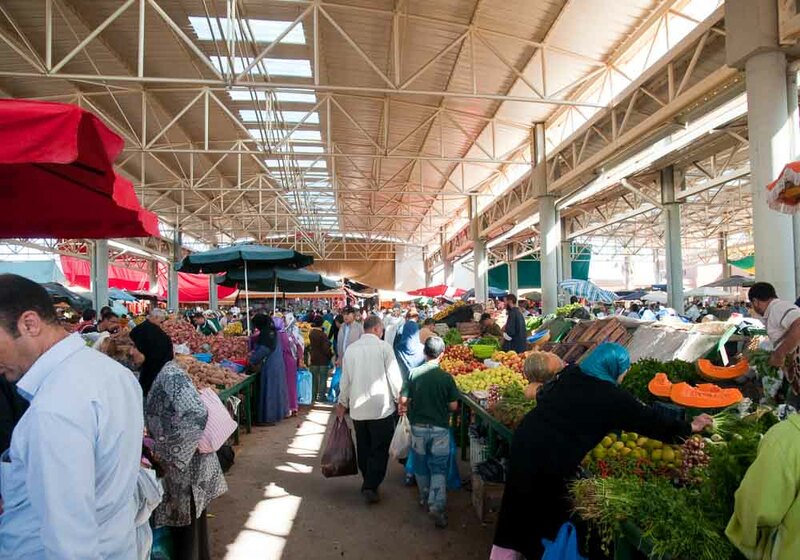 The market retains its traditional charm and is highly popular with the locals, so don’t be afraid to haggle! Then you can take a stroll through the arches of the Le Medina d’Agadir Cocco Polizzi. Built by an Italian architect in the 1960s, you can wander around and watch the craftsmen creating their goods the way they have for hundreds of years. 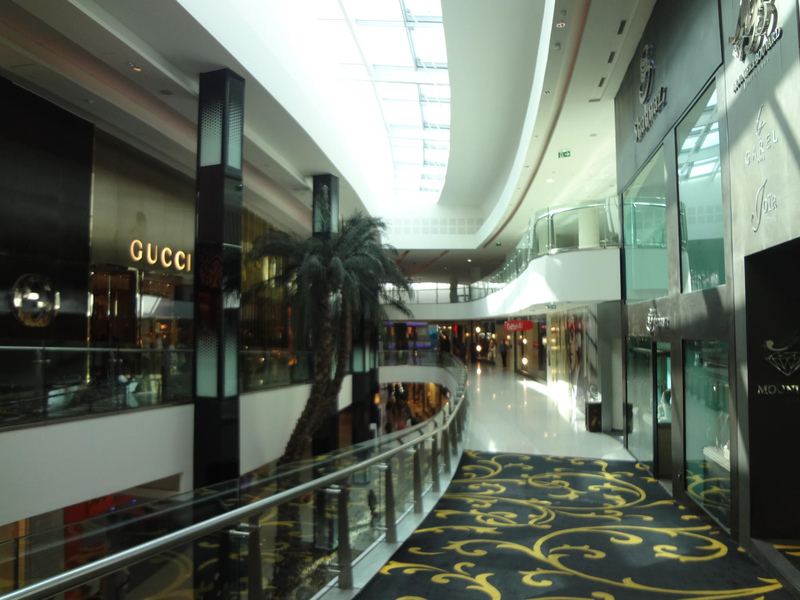 Casablanca is a shopping metropolis. It embraces modern European and African elements and mixes them with a growing sense of cultural heritage, making this a truly global shopping experience. 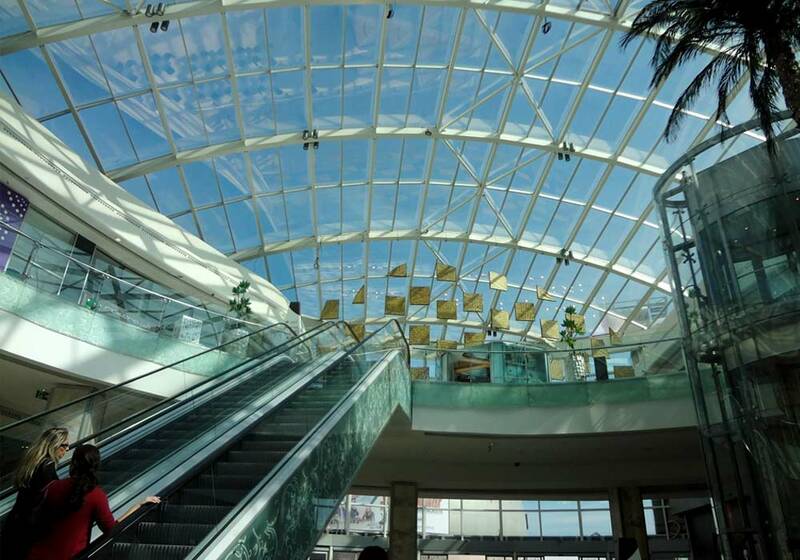 Anyone looking for some retail therapy cannot miss the new Morocco Mall, Africa’s largest shopping centre. Here well known designer brands sit comfortably alongside the craftsmen of Casablanca; there’s a traditional souk to browse. The mall contains an extravagant fairground, and if you tire of browsing the hundreds of shops, why not immerse yourself for a while in the cool surroundings of the aquarium in the centre of the mall? 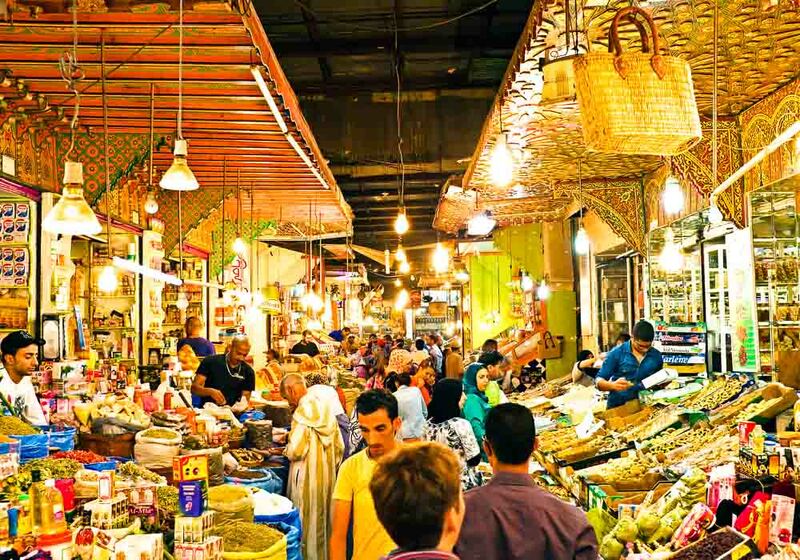 The city itself is not as densely populated with shops as many other tourist spots, but if you head down to the Medina, or the traditional Derb Ghallef neighbourhood, there is a diverse range of stalls selling everything from arts and crafts to mouthwatering delicacies. 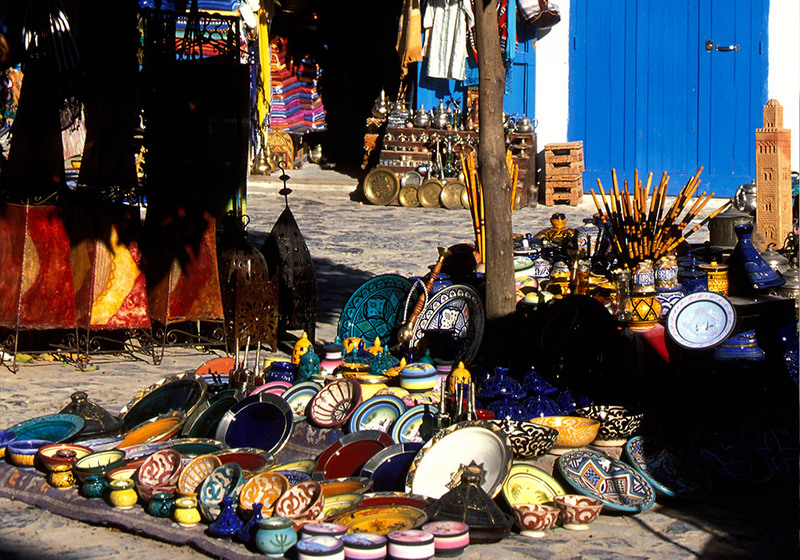 Chefchaouen medina is a treasure trove of goods just waiting to be uncovered. 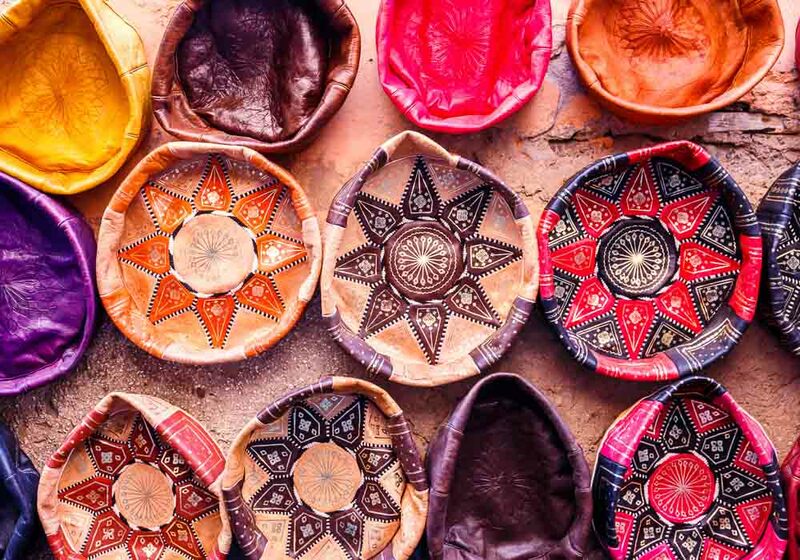 An unbelievable array of wares are on display here, from brass kitchenware to Moroccan slippers to clay pots to brightly patterned carpets to expertly crafted leather goods. It’s like stepping back in time. Just like everywhere else in Morocco, haggling is the order of the day. You’ll be expected to barter for your purchases, the offer and counteroffer is all part of the experience and real fun can be had once you get into the swing of things, and who knows? You may turn out to be a natural and come away with a host of bargains. Just don’t forget a shukran (thank you) when you leave. The brisk sea breeze that sweeps down the streets of Essaouria carries with it the scents which create the city. 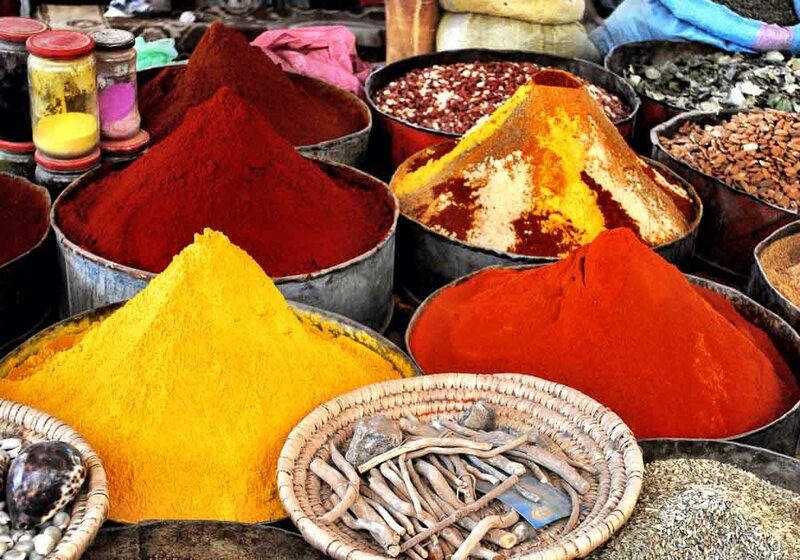 Light fragrances of salt, spices and fish tell of the trades that underpin this bustling city. 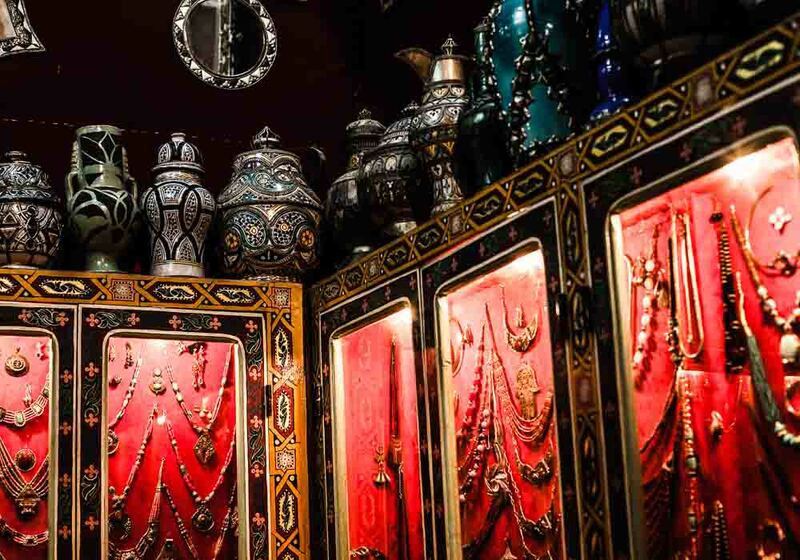 The local craftsmen are famed for their delicate carvings and these can be discovered at the many souks which can be found throughout the city. 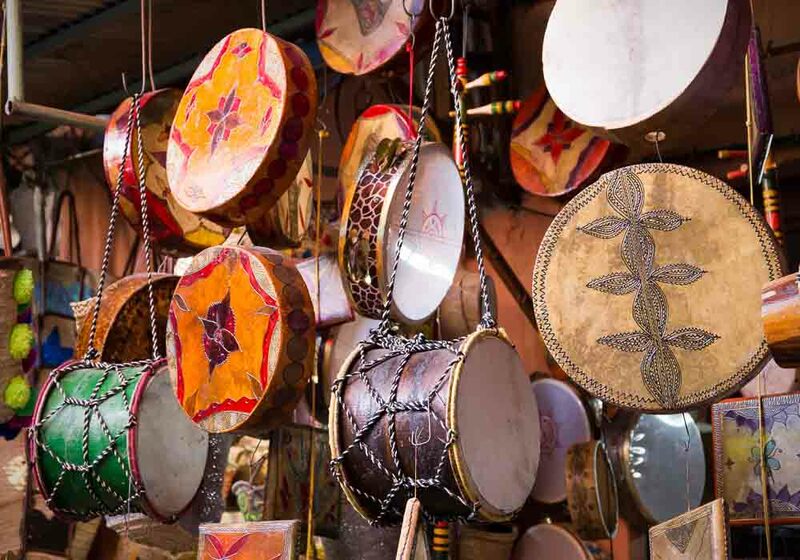 The wind is often drowned out by the enticing sound of drums and Gnaoua singing that drifts invitingly from the tiny shops that have been passed down through the generations. There is also a fabulous range of finely crafted silverware available, and be sure to enquire after the piece’s origin as there is often an interesting tale attached. 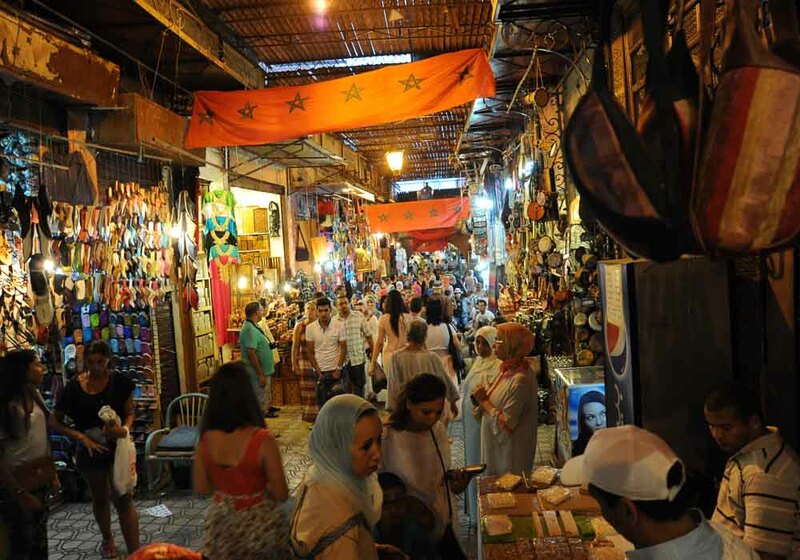 Over the years Fez has remained resistant to tyrants and trends alike, and it’s this tradition and resilience which now makes Fez one of the top shopping spots in Morocco. 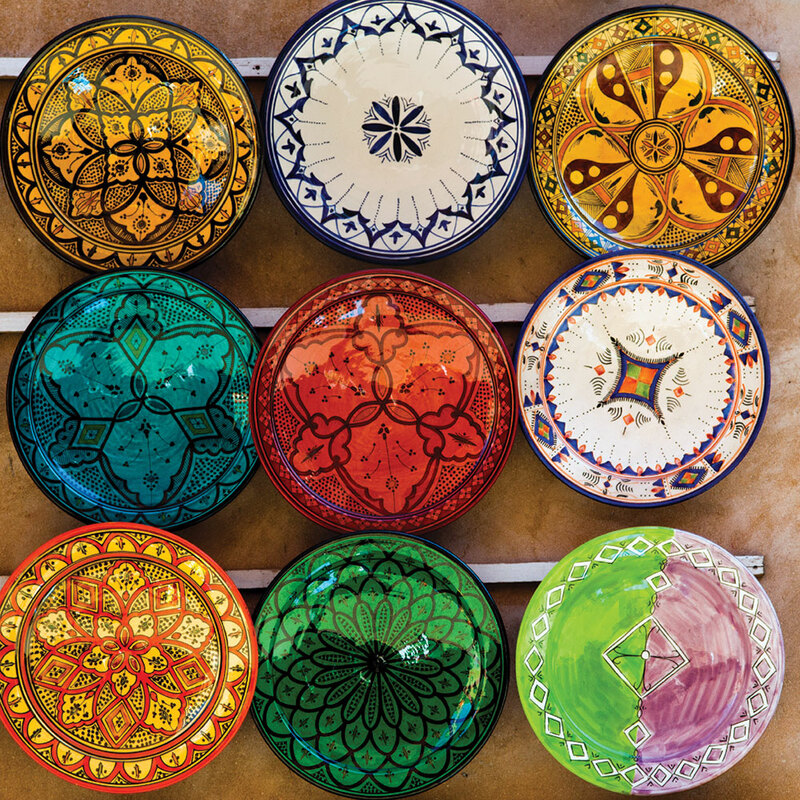 The Medina, a UNESCO Heritage site, has become a haven for the local craftsmen. It’s easy to lose your way in the maze of streets: make the most of this and enjoy the extraordinary selections of artefacts and delicacies on offer. 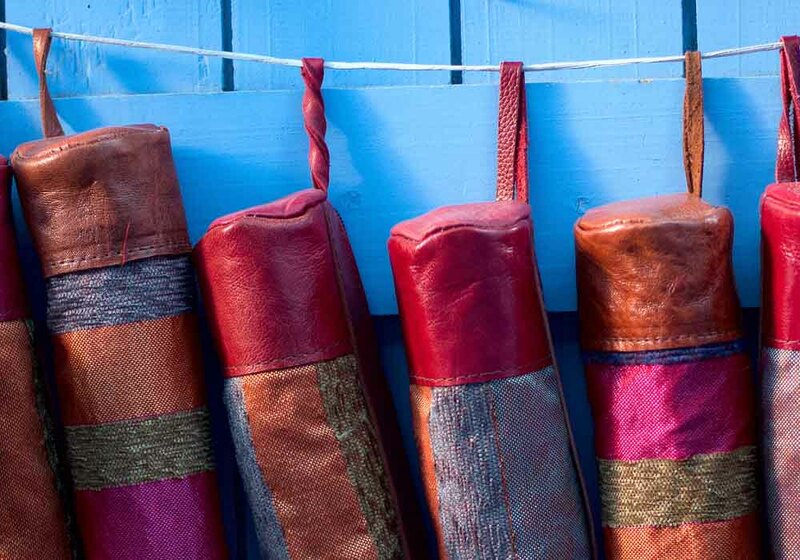 The amazing Chouara Tannery by the Oued Bou Khareb is an immersive experience with bold colours and scents. The leather products are available from a plethora of vendors surrounding the tannery and the item’s story makes it even more valuable as a holiday memento. 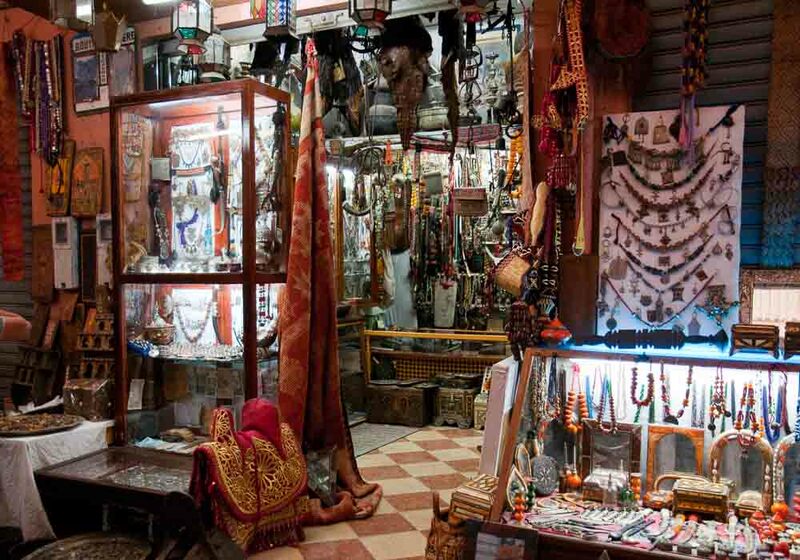 You should also visit the Souk el Hanna; the food, jewellery, ceramics and textiles all jumbled amongst the cool corridors offer a shopping experience not to be missed. 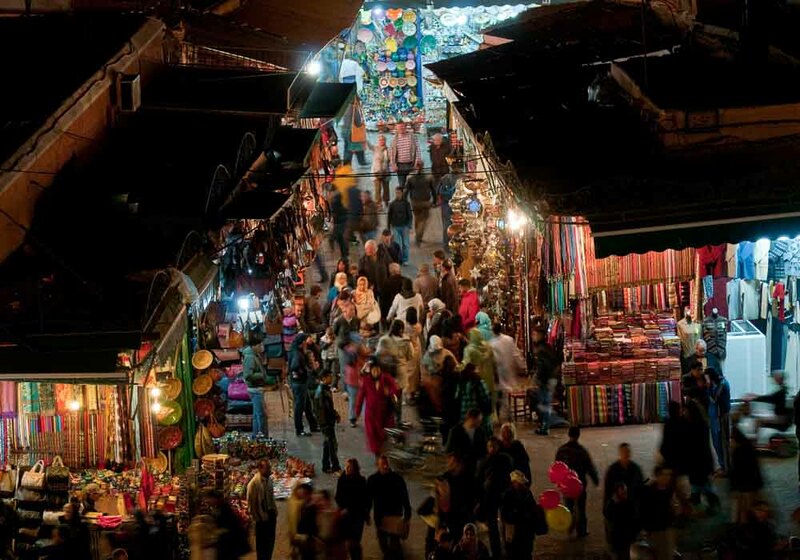 If you’ve a passion for shopping then you’ll find Marrakech an absolute dream. 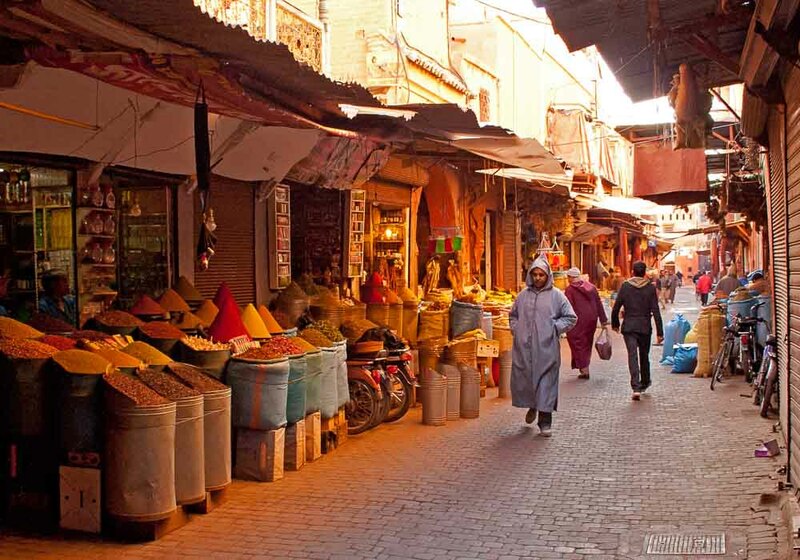 The stunning medina is where you’ll find the souks: the Moroccan markets that so characterise the city. When you wander these mazes of commerce you’ll find a new surprise around every corner. 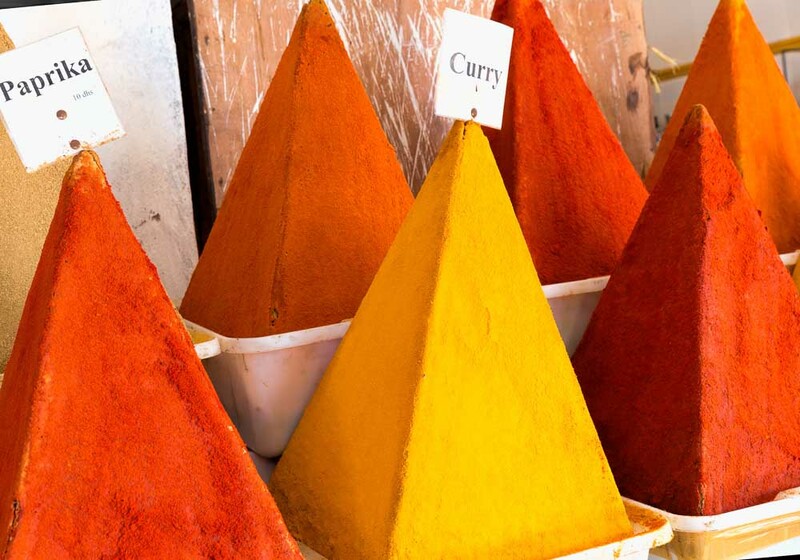 Spice stalls with their eye-catching pyramids of richly coloured powders sit next to lantern sellers and babouche stalls, and you can really say you’d experienced Marrakech if you encounter a carpet vendor. Craftsmen work on their products as you browse, and jewellery and leather are a speciality of these markets. 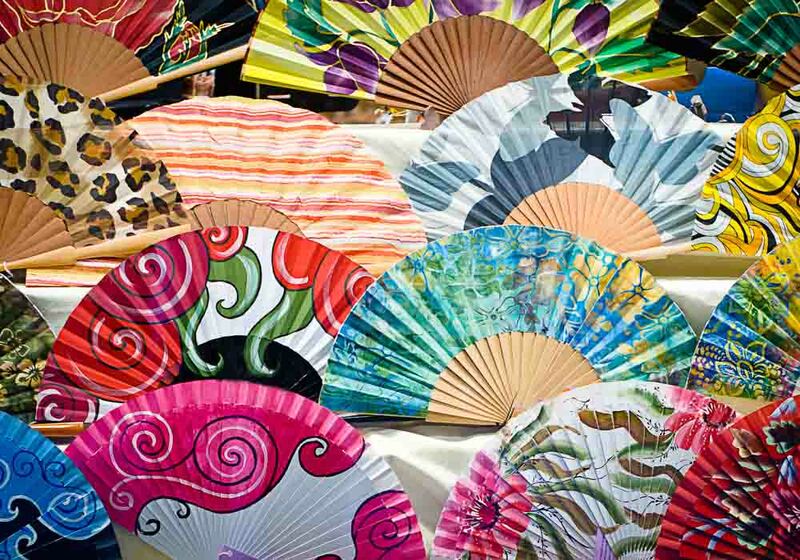 Everywhere you go there is an energy in the air as shoppers seek a bargain and merchants cajole you to buy their wares. And if you’ve ever fancied yourself as a good haggler, this is the place to test your mettle; bartering is expected. Strolling along the wide palm-lined boulevards of Rabat amongst the mixture of art deco and colonial architecture, it’s lovely to wander into one of the enticing shopping destinations along the way. 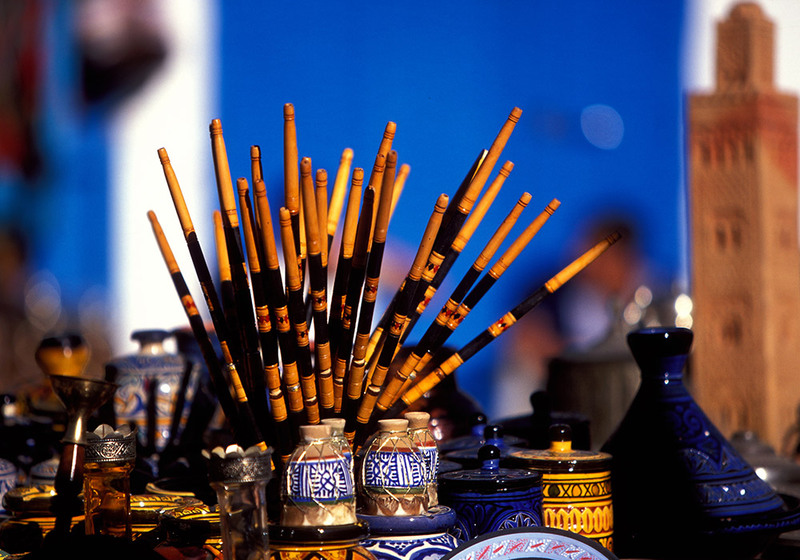 The relaxed cosmopolitan atmosphere you’ll find in Rabat gives you a chance to watch the local craftsmen plying their trades, as you’re left to browse at your own accord. The medina is a great example of the city’s retail diversity. Old and new items are sold side by side, amidst a patchwork of shops with their unusual wares spilling into the streets. The most luxurious gifts can be found here, including the traditional rugs of Rabat which are praised throughout the world for their bright colours and eye-catching patterns. 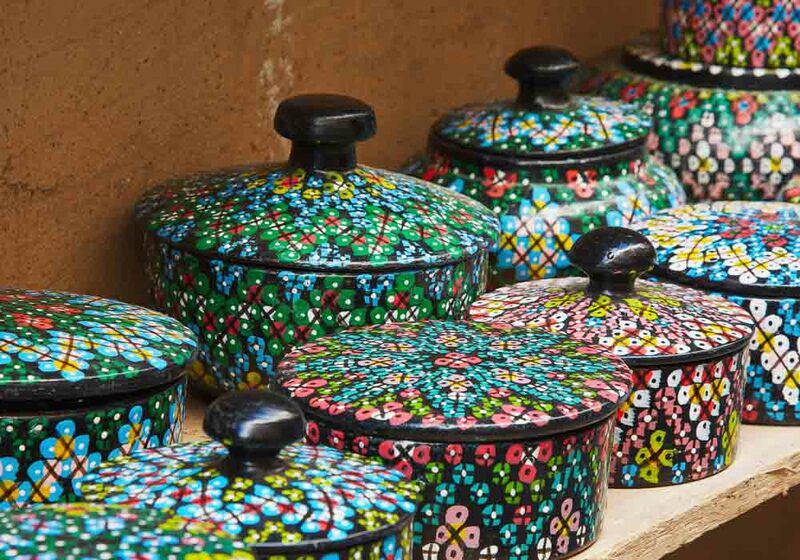 Rue Souika and Rue des Consul are the places to go for a fabulous collection of fine crafts and culinary delights. It’s a joy to shop amongst the dizzying hustle and bustle of Tangier’s many markets and souks. The city is a mix of new and old with the traditional walled fortress of the Sultan, the walled plaza, new business district and spotless beaches, and this blend of cultures provides everything an adventurous shopper could want. Wander away from the main streets and you’ll find a traditional local shopping environment. The shopkeepers are charming and eager to help, offering teas and delightedly showing you their arrays of food, textiles, copper-wares and fine crafts. 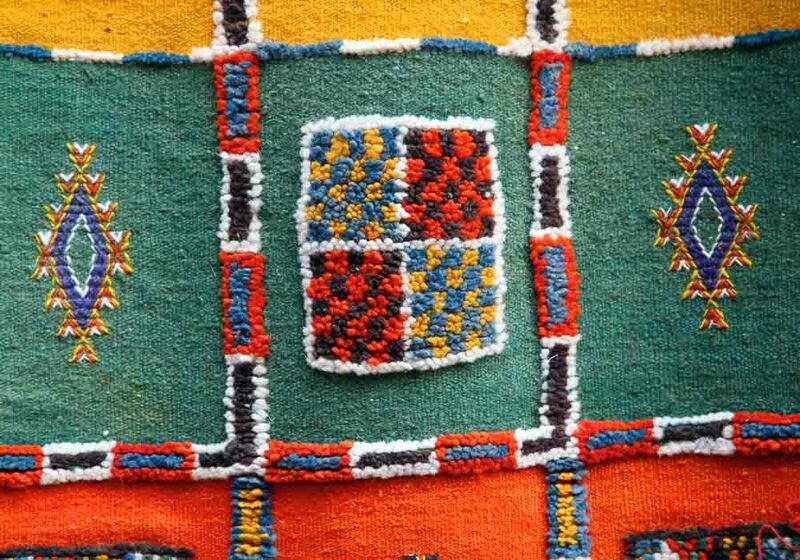 If you’re charmed by the intricately woven vibrancy of the Amazigh rugs, arrangements can even be made for their safe passage home! Tangier’s diversity means it’s a welcoming and friendly environment for all, offering an extraodinary diversity of wares. You know how it is when you get something in your head and it just sticks there? 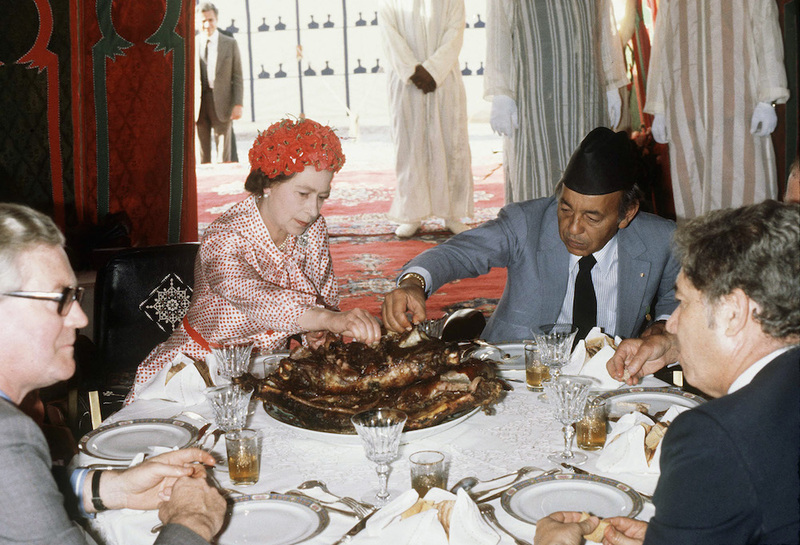 That’s how it was with me and the Medina of Fez. I was probably around nine or ten when I first saw it, probably on a travel programme. I was instantly captivated by the sheer otherness of this ancient place….